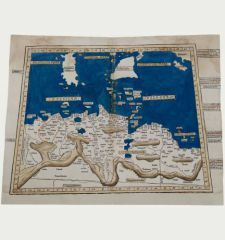 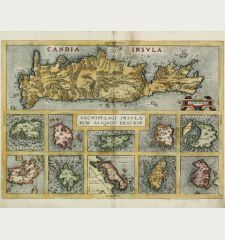 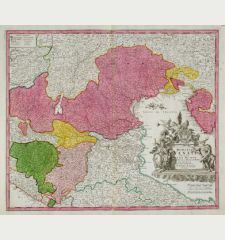 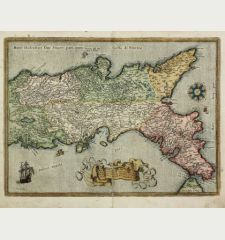 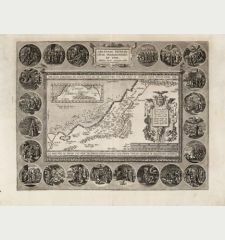 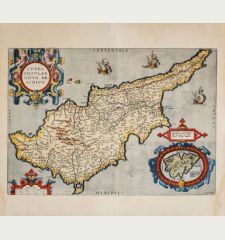 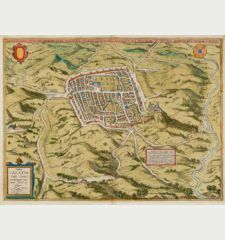 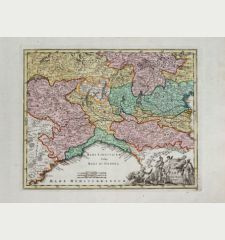 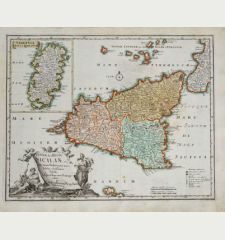 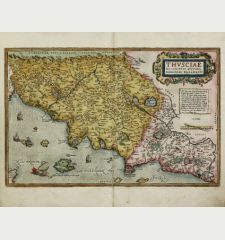 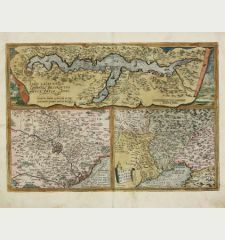 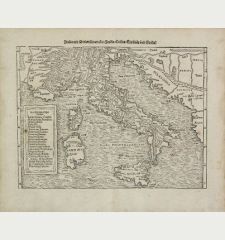 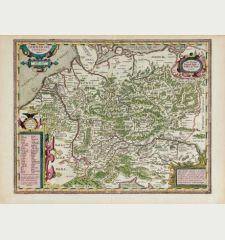 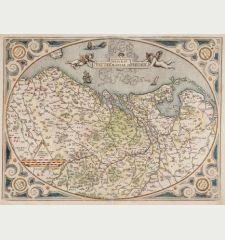 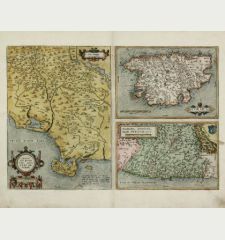 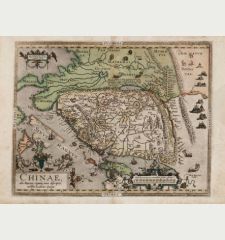 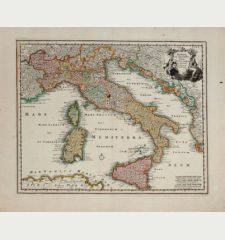 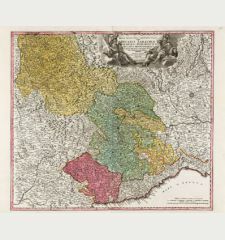 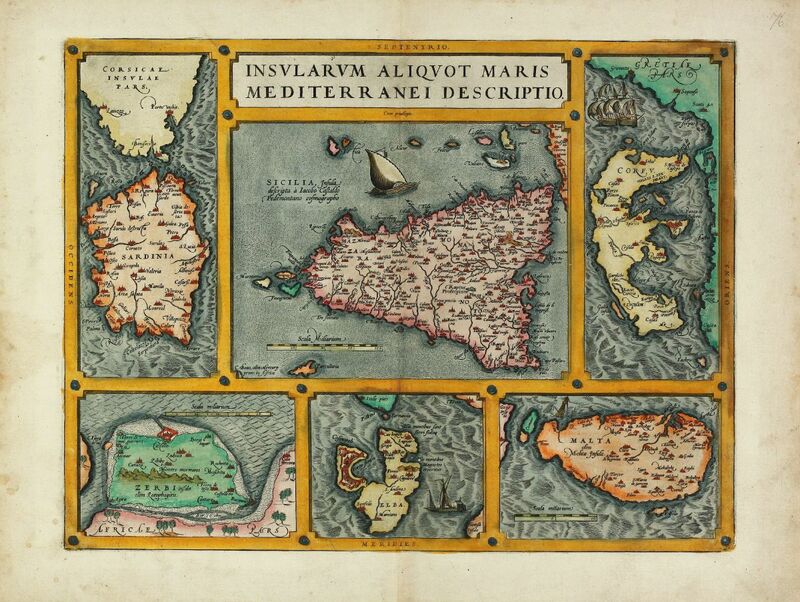 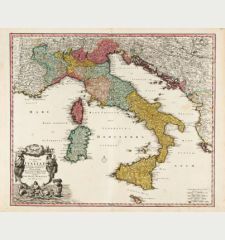 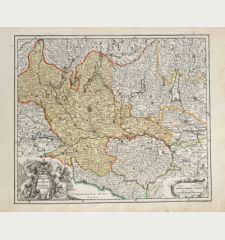 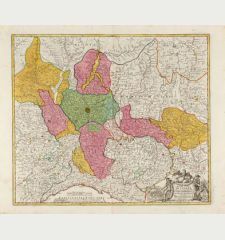 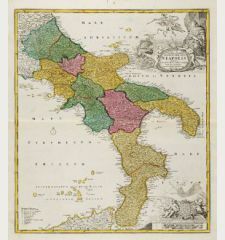 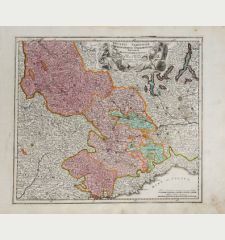 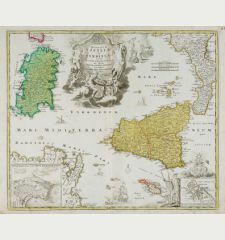 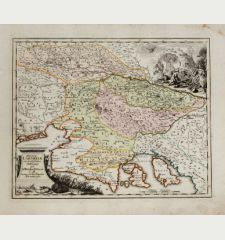 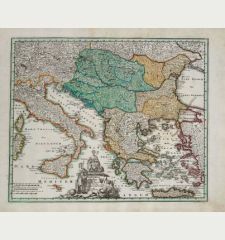 Beautiful original old coloured copper engraved map of six Mediterranean Island by A. Ortelius. 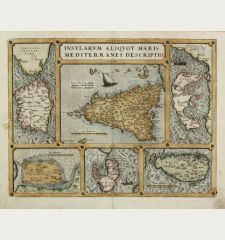 Showing Malta, Sardinia, Sicily, Corfu, Elba and Djerba. 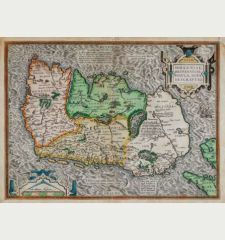 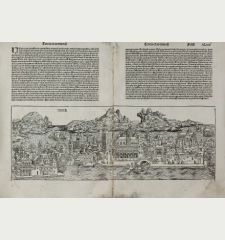 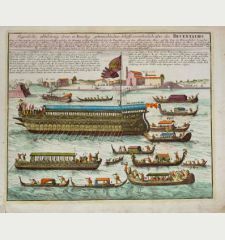 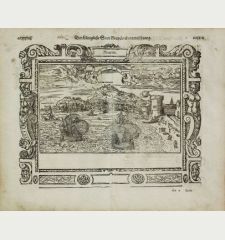 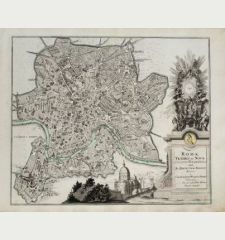 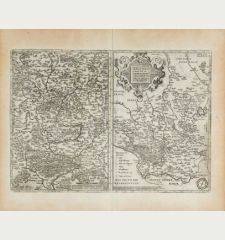 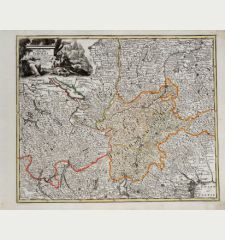 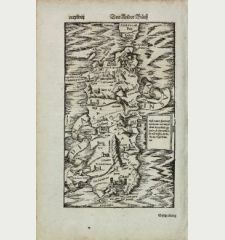 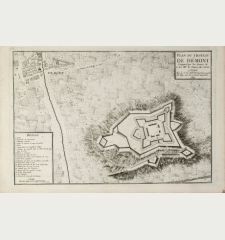 From the 1587 French edition of Theatrum Orbis Terrarum, French text on verso. Title Insularum Aliquot Maris Mediterranei Descriptio. 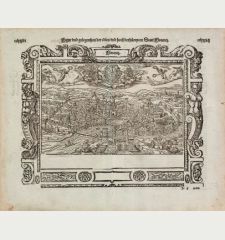 Reference Van den Broecke 141, Zacharakis 1612, Mason & Willis 13. 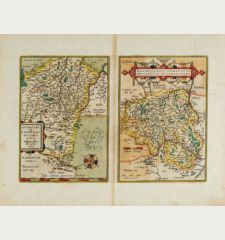 Perfect condition with very good paper quality.